Home > What We Do > Construction & Engineering > Construction & Engineering eNews > Adjudication: the end of ‘Smash and Grab’? Grove appointed S&T to design and build a new Premier Inn at Heathrow. Contractual completion was agreed as October 2016 but practical completion was in fact not achieved until March 2017. S&T made payment application no 22, for £14,000,000, and Grove replied with a Pay Less Notice which S&T attacked as being invalid. An adjudicator accepted S&T’s argument that the Pay Less Notice was invalid because although it stated the reduced amount to be paid, it did not set out the reasons for that valuation. Instead it referred to a document that had been sent separately, 5 days previously by Grove to S&T. £14,000,000 turned on this technical argument. Although the Notice to Pay Less did not contain the valuation but rather referred to an extraneous document, it was clear that S&T had received that document, which did set out the basis of valuation, and this was not unreasonable. Therefore, the Notice to Pay Less was valid, and the adjudicator had been wrong in his decision. 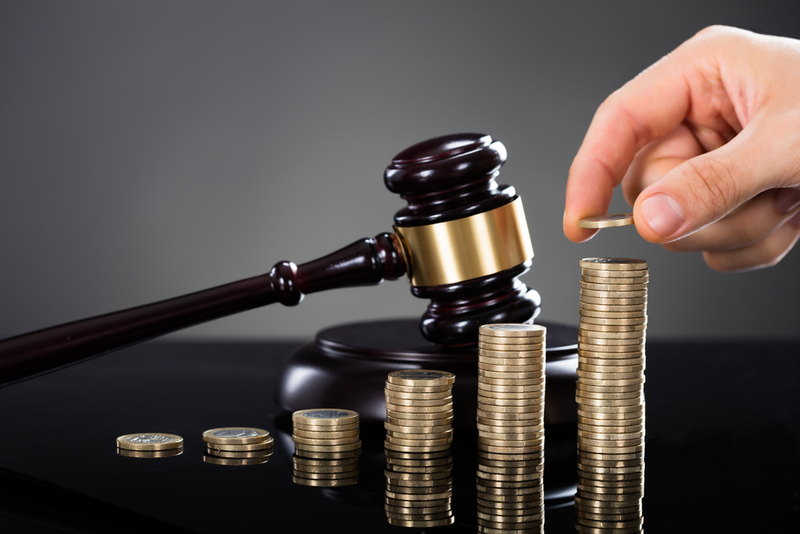 In any event, even if the Notice to Pay Less had not been valid, the employer was entitled to bring a second adjudication to determine the “true value” of the interim sum, as opposed to the “stated value” set out in the contractor’s Payment Notice. BUT given the importance of cash flow to the whole concept of Construction Act legislation, the employer was not free to bring such a second adjudication until he had paid the sum ordered to be due in the first adjudication. The Court’s clarification of the law relating to the form and content of notices to pay less is very useful. Nevertheless, best practice will always be to ensure that if the employer wants to rely upon a separate document, he should specifically attach it and re-send it with the actual Notice To Pay Less to avoid this argument arising. This decision seriously reduces the usefulness of “Smash and Grab” adjudications, especially where the sum the contractor has asked for is obviously inflated or “a try on”. In future it will only be worth seeking such an adjudication award on such technical grounds where the valuation put together by the contractor is serious and well substantiated, in which case any second adjudication is unlikely to be of much benefit to the employer. The days of inflated “try-ons” are numbered. Jackson LJ remarked “let me now turn to the mechanism by which an employer can recover any overpayment made at the interim stage, as a consequence of his failure to serve a Payment Notice or a Pay Less Notice. In many cases, this can conveniently be done by way of adjustment at the next interim payment.” So without going to a second adjudication, the employer can simply undo the problem by ensuring that a proper valuation is carried out at the next interim valuation stage and, if there has been an overpayment, making an adjustment accordingly. What this remark does not clear up, however, is whether in fact it is actually necessary for the employer to actually pay out the “Smash and Grab” award before seeking to recover or adjust its liabilities through the interim payment process. Logically there seems no good reason why the employer should have to pay the money only to immediately demand its return by reference to a subsequent certificate, but no doubt this is something which will come before the courts in due course.